We are a diverse community rooted in the Catholic Faith that fosters spiritual development, high student achievement, responsibility to self, and service to others. The only Catholic school in Mountain View, we are located down the street from St. Francis High School. Explore our site and see what makes us the best choice for your children’s education. 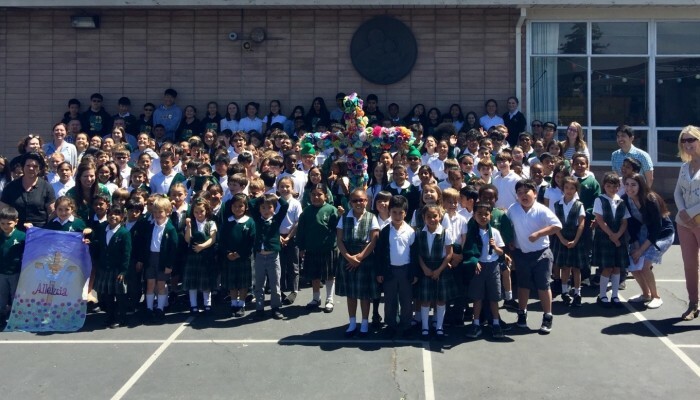 As is SJMV tradition, students decorate the cross with paper flowers created by each student. SJMV wishes you all a blessed Easter. 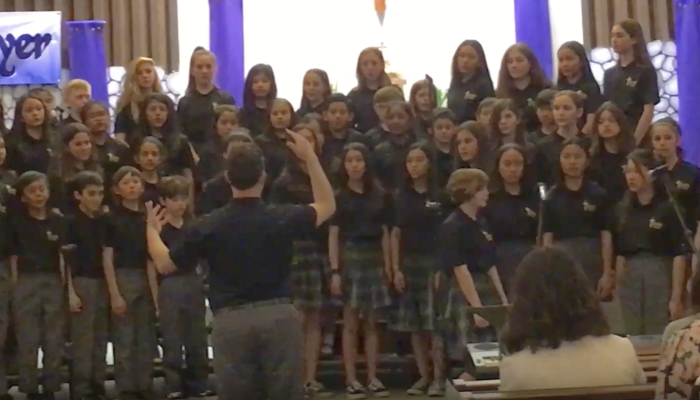 Since 1952, St. Joseph Catholic School has educated the whole child in an atmosphere where spiritual growth, academic excellence and an appreciation of multi-cultural values are fostered. 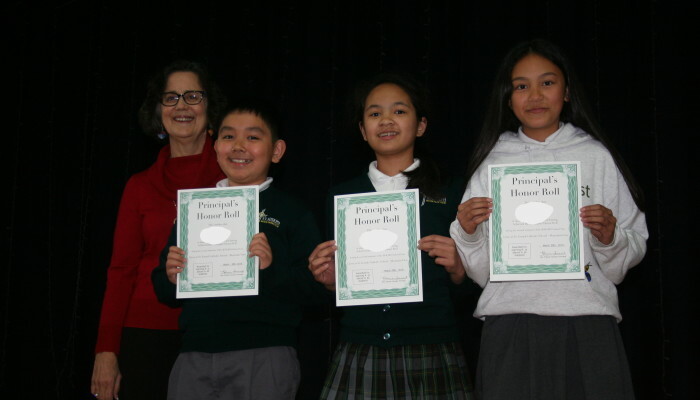 As a Drexel School in the Diocese of San Jose, our students learn 21st century skills in a faith-based environment. Due to the rising costs of maintaining quality programs, Catholic schools continually face new financial challenges. Today Catholic school educators and leaders share the responsibility to establish funding formulas that ensure the viability and survivability of our institutions. Almost every Catholic high school and many Catholic elementary schools have established and expanded school Development programs. 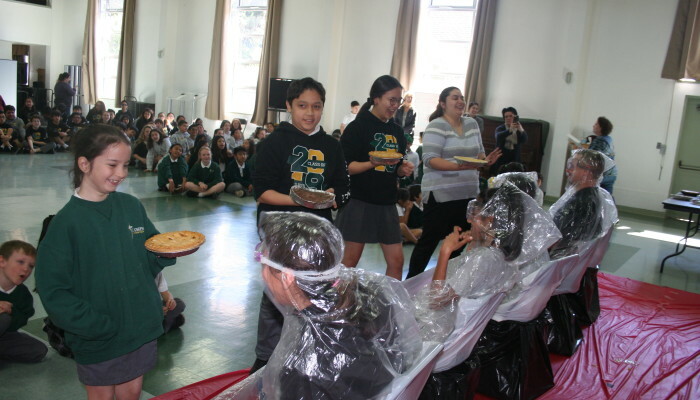 Its primary goal has been to tell the “success story of Catholic schools” and to raise the awareness of the enormous contributions our school has made to the Mountain View community. St. Joseph School is a registered 501(c)(3) non-profit organization; donations are tax-deductible to the extent allowed by law. All gifts large and small are appreciated and acknowledged. Our school is grateful for your continued support. Help make tuition affordable for all students. We are continually improving what we offer academically at St. Joseph Mountain View. Here is a list of new activities for the school.